Dianne Dozier, 56, resident of Searcy, AR made her transition peacefully on January 23, 2019 at 7:20 am surrounded by family. Dianne was one of eight children born to Joyce E. Johnson and Leroy C. Miller Sr. on May 27, 1962 in Searcy, Ar. 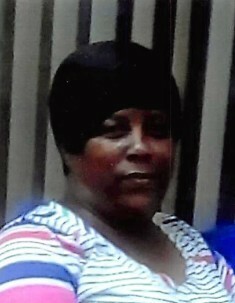 She is survived by her four loving children; Brandi Barber of Searcy, AR, Henry Barber of Searcy, AR, Kiana Barber Long Beach, CA, Krystal Ford of Colorado Springs, CO, her soulmate of ten years; James Socia of Searcy, AR, eleven grandchildren; Dashawn Blakely, Daten Blakely, DeMarcus Williams, Jakiah Reynolds, Kiaunte Warren, Tiana Barber, Jashaylee Comer, Demauria Williams, Mika Comer, Jeffery Comer, and Rilyn O’Neal, one great-granddauther; Kenley Blakely, two brothers; Leroy Miller Jr. of Judsonia, AR, Henry Miller of Jacksonville, AR, four sisters; Janice Johnson of Kansas City, MO, Mary Kellum (Carl) of Jacksonville, AR, Allison Bright of Kansas City, MO, and Michelle Lee Williams (Roderick) Houston, TX, and a host of nieces, nephews, cousins, and lots of friends. She was preceded in death by both parents and one brother; Maurice Duncan.